According to the commission's staff, McElhaney enlisted the help of an architectural firm two years ago to propose modifications to the project. The firm helped McElhaney for free, but, at the same time, JRDV Urban International was also doing business with the city. McElhaney voted to extend several lucrative city contracts with JRDV while its president, Morten Jensen, helped her stall the housing project near her residence. McElhaney also failed to disclose the gift of services from Jensen and JRDV, which was worth about $800, on her mandatory statement of economic interest. City officials must disclose any gift with a value above $50 and are prohibited from receiving anything valued above $250. McElhaney was prohibited from accepting any gift valued at more than $50, because the firm was a "restricted source," due to the fact that it was seeking business with the city. 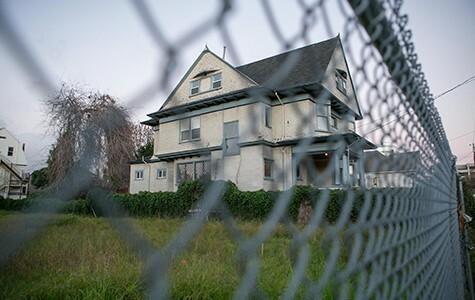 The project that McElhaney interfered with was a five-unit residential building proposed for a vacant lot adjacent to the councilmember's home on 32nd Street. In January 2014, developer Robert Brecht submitted a zoning application for the project, and the planning department gave approved in April. That same month, McElhaney's husband, Clarence McElhaney, appealed the project. But as the Express reported in February 2015, the appeal was prepared by the councilmember's staff using city resources. According to the ethics commission's investigation, the Express' reporting, and two subsequent complaints, is what initiated their examination of the case. Ethics commission investigators found that McElhaney called Art Clark, an employee of JRDV, in December 2014 and asked that he and Jensen appear at a planning-commission meeting to help her appeal against the project. Lynette Gibson McElhaney's home and the empty lot where a five-unit housing project was planned. Jensen showed up and spoke in McElhaney's favor. Even so, the planning commission denied McElhaney's appeal and approved Brecht's application with some required modifications. But afterward, Jensen approached Brecht's architect and asked to review the developer's design and offered revisions. Clark and Jensen also continued to research possible ways to object to Brecht's project. At one point, according to the ethics commission investigation, McElhaney asked Clark to draft a letter with various objections to the project and deliver it to the planning department director, Rachel Flynn. Clark agreed. Flynn later sent several emails to Brecht encouraging him to consider alternative designs that were drafted by Jensen and Clark on McElhaney's behalf. The planning commission's design-review subcommittee finalized Brecht's application in February 2015, but the developer never built the project. He told the Express that the councilmember's interference resulted in a downscaled project that had become infeasible to build. JRDV's free assistance to the councilmember by providing their services for free, according to the ethics commission's investigation. Commission investigators also found in its investigation that JRDV had several large contracts with Oakland for architectural services and that McElhaney voted to extend these agreements, resulting in higher payments to JRDV. In March 2012, JRDV was awarded a $1.6 million deal to evaluate plans for the development of the Oakland Coliseum and surrounding environs. McElhaney wasn't yet a councilmember, however. But then, in 2013 and 2014, city council voted several times to extend the contract with JRDV. McElhaney, who was on the council at this point, voted for the extension each time. JRDV also worked on the West Oakland Specific Plan for the city. The firm was originally awarded the contract in 2011, but in 2013 and 2014 the council extended the contract several times and upped the amount of money awarded to JRDV. McElhaney voted affirmatively each time. In addition, JRDV had another agreement with the city to provide architectural services for Oakland's facade and tenant-improvement program. Like the other contracts, this one was approved prior to McElhaney's election to the council, but McElhaney later voted to extend the contract for upwards of a year. The city ended up paying JRDV $125,000. In the course of investigating these ethics violations, McElhaney failed to comply with a subpoena issued by the ethics commission for records. The ethics commission sued McElhaney to compel production of the emails and documents. According to the ethics commission, its staff and the councilmember have been negotiating a possible settlement agreement for four months, but they have so far failed to find common ground. As a result, the ethics commission's chief of enforcement is recommending that an administrative hearing be convened to determine a penalty. The full ethics commission has yet to issue any final ruling in the case. They will consider the findings of their staff's investigation at a July 31 meeting. "If I had thought asking the architect for help could implicate the ethics laws, I of course would not have done so." Correction: the original version of this article stated that the Public Ethics Commission "ruled" that McElhaney violated Oakland's ethics laws. That was incorrect. The commission has yet to issue any ruling on the matter. 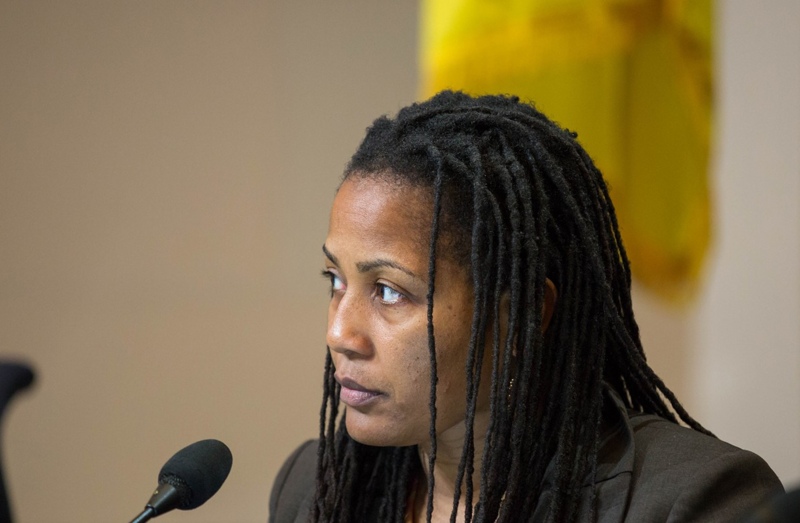 The commission's investigators, however, determined in their report that McElhaney violated the city's rules and the city's chief enforcement officer is recommending an administrative hearing.